Hands down the nicest and most well thought out seat there is for smaller kids' bikes! The Brood Perch uses the patented Pivotal interface which has dominated BMX over the past decade because it is stronger and lighter than traditional seats with rails. AND it drops the minimum height to the top of the seat by about an inch over railed seats. 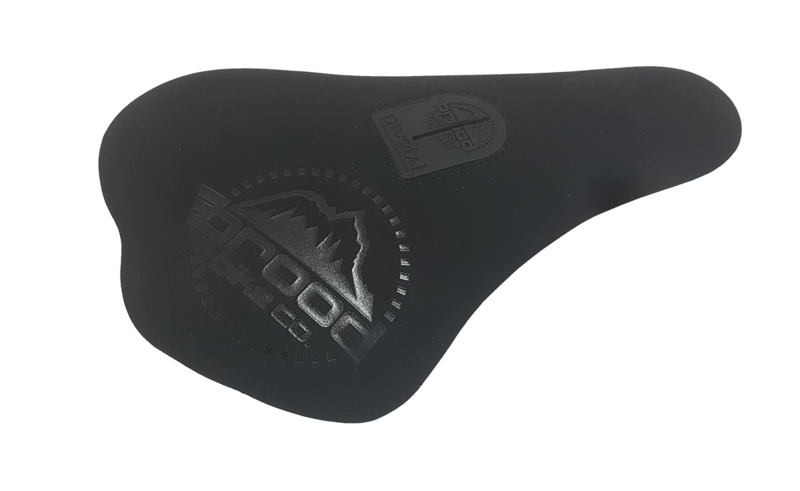 The seat is covered with an extremely durable, but soft microfiber cover with the Brood mountain logo debossed and screened onto it. Pivotal seat post required.